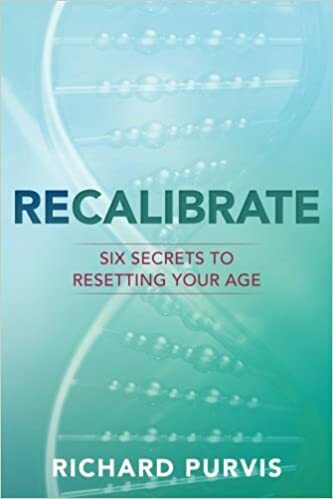 RECALIBRATE – Six Secrets to Resetting You Age will reform the way you eat, think, live, and AGE! Author Richard Purvis developed a program to help restore optimal health and vigor to your life and actually preserve youthfulness! With more than 30 years of dedicated nutritional experience combined with the latest scientific research, Purvis details how resetting your health and youthful appearance is unequivocally obtainable utilizing six proven methods. In RECALIBRATE Purvis examines the causes of premature aging and the catalysts for diseases such as; diabetes, obesity, hypertension, cancer, heart disease, arthritis, and even Alzheimer’s. He highlights what we are doing to ourselves to trigger the onset of many illnesses, and what we are not doing to prevent them. 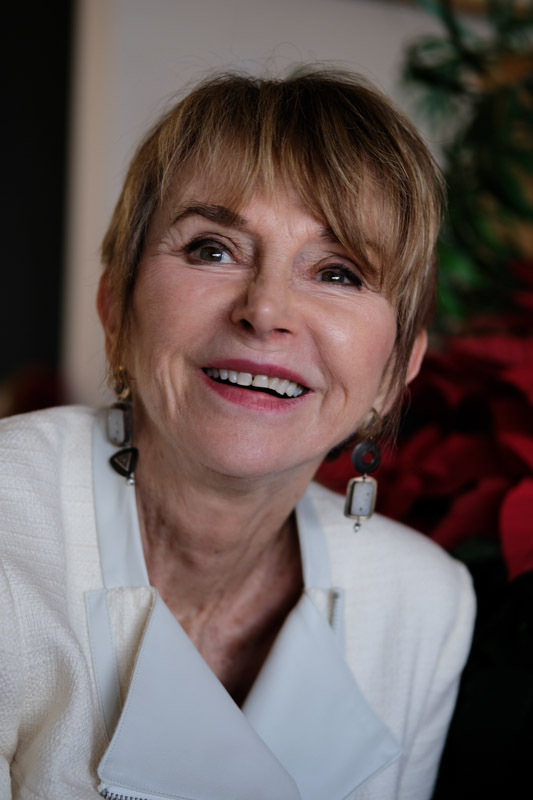 Purvis demonstrates pragmatic, sustainable principals, lifestyle changes, and nutritional insights to maximize your body’s biological processes and slow or even reverse aging! The RECALIBRATE plan takes years off — leaving a more youthful and radiant appearance, improving energy levels, boosting overall health, and resisting disease. Purvis introduces measures you can take right now to enhance your ability to live life on your terms. Practicing good health provides the best opportunity to avoid the potential of self-induced disease, and dramatically improves the quality of life. A few short weeks of following the RECALIBRATE program will help you look and feel better than you have in a decade. Committing to the lifestyle and proven techniques will facilitate a radiant appearance and superior overall health – for LIFE! Recalibrate was not what I expected. To me I actually thought it would have been about a program of some sorts. I was disappointed when I started reading it for several reasons. The biggest thing was that it was written almost with a scientific background in mind. There were lots of “big” words that a lay person would have to either look up or skim through and not read. Let me preface this with the fact that I have a medical background and work in research so for me I did understand. However, a reader who would be looking to change their lifestyle, might not understand and it would definitely detract from the reading. The other thing was that it really isn’t “new” information that readers can’t find elsewhere. There was really nothing that stood out for me. However, having said all that, the exercises provided detail instructions along with pictures that showed how to complete which was a good thing. Self-driving vehicles finally arrive. But so do the terrorists. A thought-provoking thriller about artificial intelligence and the self-driving revolution. You’ll be forced to consider how you’d react if you were cornered and trapped in a terrifying life-threatening situation. For three months, no traffic congestion. No accidents. No fatalities. People finally feel safe in their cars. But should they? Especially when the dark side of humanity sees this as a chance to destroy the United States. 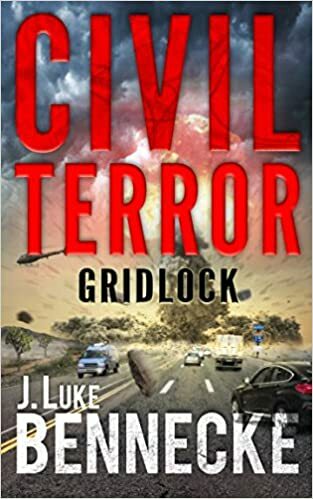 CIVIL TERROR is an interesting thriller all about self driving cars and the systems that run them. Jake has created a system that is computer based and will eliminate traffic. however the one thing that they never thought of is a mole and hacker getting into the system and reeking havoc on the world. In today’s society and all the terrorism that is happening, it is not too far from the truth that something like this could happen. 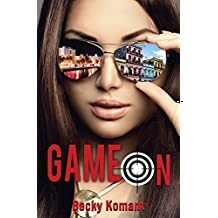 This is a fast paced thriller will lots of action and great character development. It is very well written and definitely believable. There were however parts of the story that seemed to drag on and that interfered with my enjoyment of it. I do like how he ends the story and it really isn’t something that the reader will expect. Overall, it is a good read and I think readers will enjoy it. 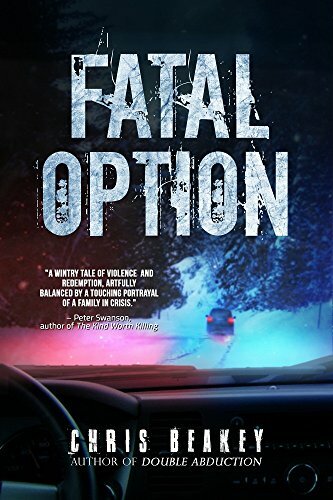 Fatal Option was all about the trails and tribulations a family goes through under tragic circumstances. It brings to light the question of what would you do under the same circumstances. How far would you go for your family? There were plenty of twists and turns to keep the readers attention blending in at the right times to make all the connections. This definitely kept you guessing right until the end. For me however, it was slow to start and I found myself putting it down. If I would have stayed with it, it would have grabbed my attention after the first few chapters. Once I got there, about Chapter 20, I couldn’t put it down. Having said that, it was definitely well written with great character development. My rating reflects the fact that it did eventually grab my attention and kept it right until the end. From the moment Marija walks into Lara’s classroom, freshly moved to Serbia from Sarajevo, Lara is enchanted by her vibrant beauty, confidence, and wild energy–and knows that the two are destined to be lifelong friends. Closer than sisters, the girls share everything, from stolen fruit and Hollywood movies as girls to philosophies and even lovers as young women. But when the Bosnian War pits their homelands against each other in a bloodbath, Lara and Marija are forced to separate for the first time: romantic Lara heads to America with her Hollywood-handsome new husband, and fierce Marija returns to her native Sarajevo to combat the war through journalism behind Bosnian lines. Told in lush, vivid prose, COUNTRY OF RED AZALEAS is a poignant testament to both the power of friendship and our ability to find meaning and beauty in the face of devastation. 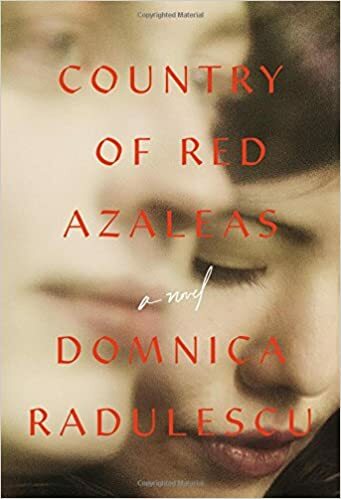 Country of Red Azaleas was a story of two women’s friendship over the span of their lives. From war to separation of continents, these two women have been through it all. Lara and Marija were best friends with Marija being the wilder one. Lara, on the other hand, was more conservative. Many adventures happened in Marjia’s life as a reporter, where she ends up covering the war. Lara marries an American professor and moves to Washington, DC. Eventually the two lose touch and Lara is concerned that Marjia did not survive the war. I have to say that although parts of this story had me turning the pages, more often than not, I needed to put it down and pick it up later. I found certain parts were described in too much detail and dragged on. Yet at other times, it felt too rushed. The character of Lara seemed to be self-absorbed and maybe that was the intent. The character development for Marija seemed to be well-developed. Overall, it wasn’t a bad read but I did find the end came to abruptly. STEALING HIS HEART was book 1 in the Kingston Heat Series. Ms Jade will have you loving Sophia and Pax’s romance right from the start. Sophia was your typical girl next door introvert and Pax was the “player” having someone new every night. Sophia on the other hand was a music teacher who really didn’t date much since her heart was broken. As the romance between the two of them blossoms, the scenes get pretty steamy! I have to say that this was a great read for me although the beginning was slow. By the time I got to the middle, things picked up. Usually I read mystery and/or psychological thrillers but Ms. Jade had me hooked. 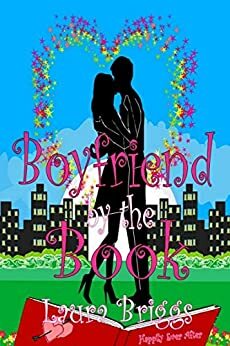 This was your typical boy meets girl, they fall in love, and live “happily ever after.” The story had a natural flow, but was pretty predictable. This would be my only criticism. The plot was believable and the characters were well-developed and likable. The secondary characters added to the story line and at one point really pissed me off. 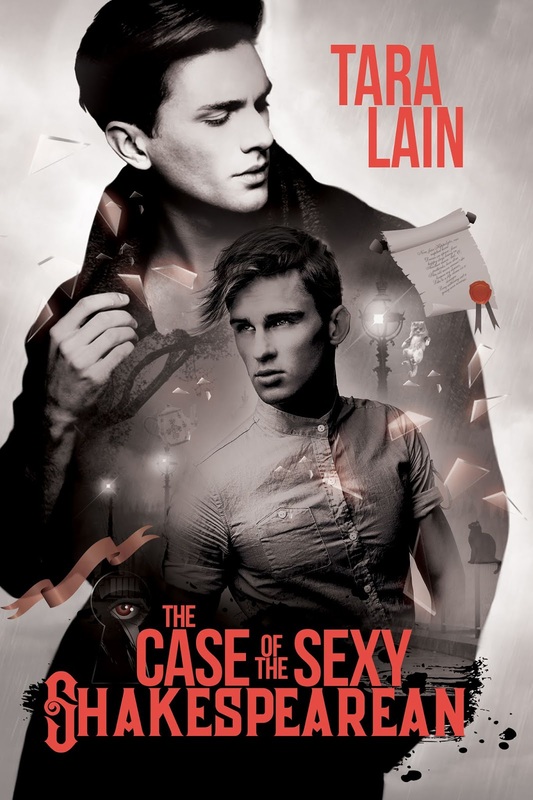 This should be a must read for lovers of contemporary romance and/or romance in general. It will definitely be a quick and enjoyable read.